A decade has passed since Ma$e last attempted a comeback, but in 2014 he will make another run for the top of the hip-hop echelon when his fourth album, Now We Even, arrives in stores. The first single, “Why Can’t We,” found its way online in the last day and it can now be streamed in full right here on UTG. Featuring up and coming crooner HER, “Why Can’t We” is a somewhat slow jam about the desire to return to the days when a relationship now on the rocks felt new and easy. Ma$e remembers how he and the woman in his life used to feel about one another and longs to return to those days, even though he knows such trips are completely improbable. The hook is solid, but the verses are what will keep you coming back for more. you can stream “Why Can’t We” at the end of this post. I used to be a huge fan of Ma$e, but understood when he felt the need to step away for a bit of self-preservation. I don’t think “Why Can’t We” is the best choice for a comeback track, but his flow is as impeccable as ever before. Comment below and let us know if you agree. 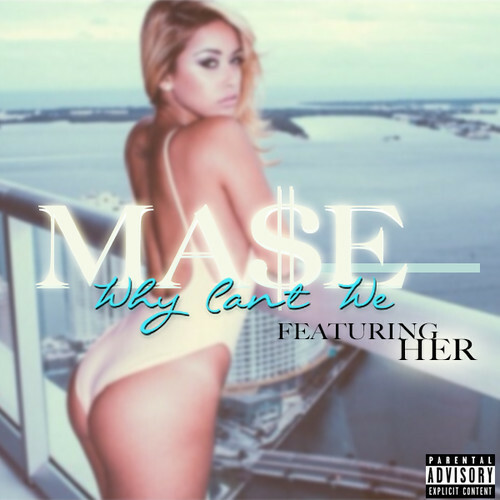 We have no idea when Ma$e plans to release Now We Even, but with the arrival of “Why Can’t We” it seems safe to assume additional details regarding the album will be made available soon.